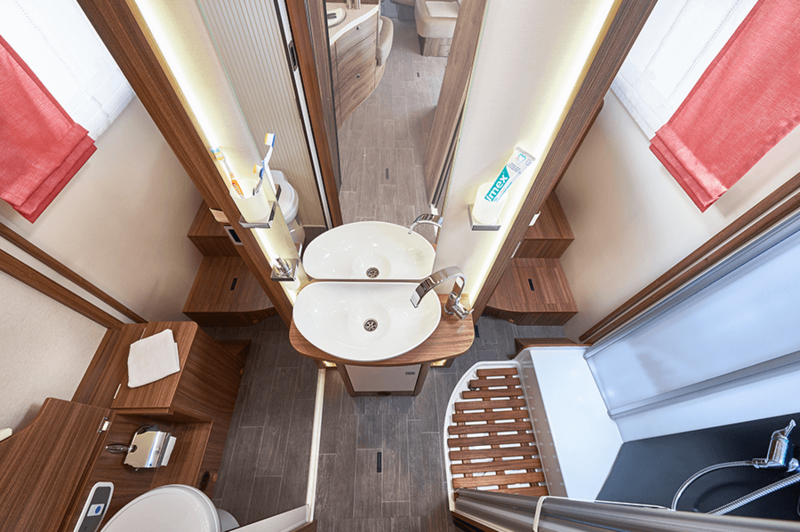 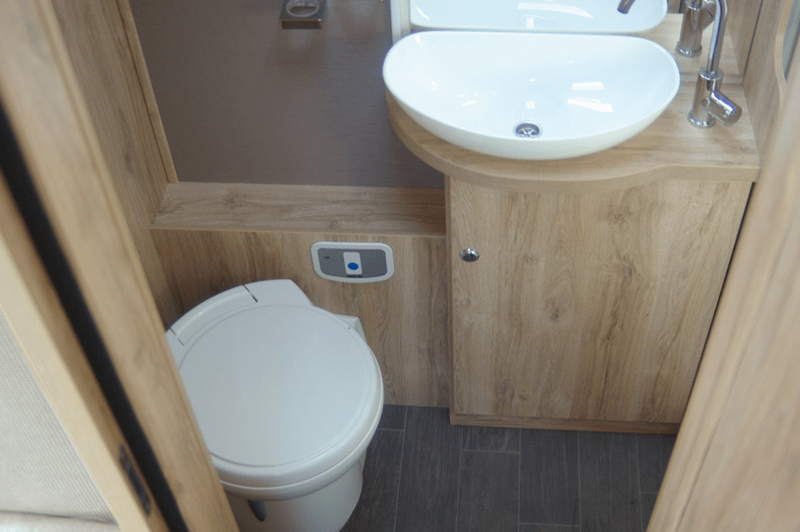 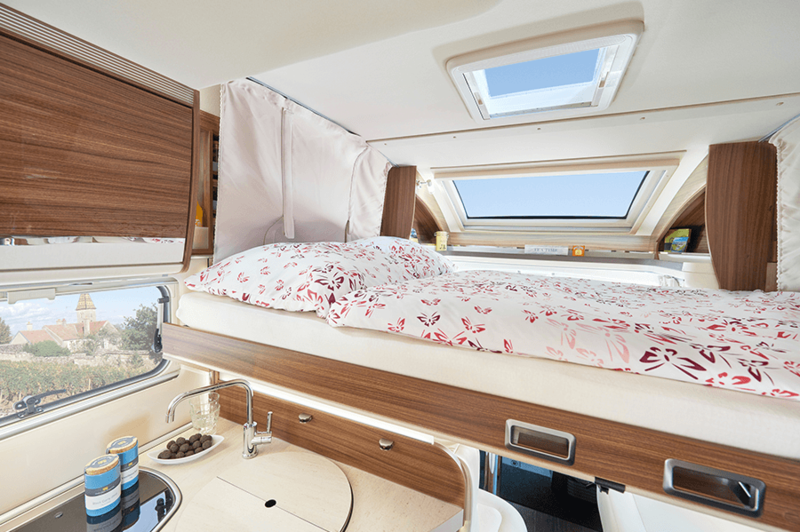 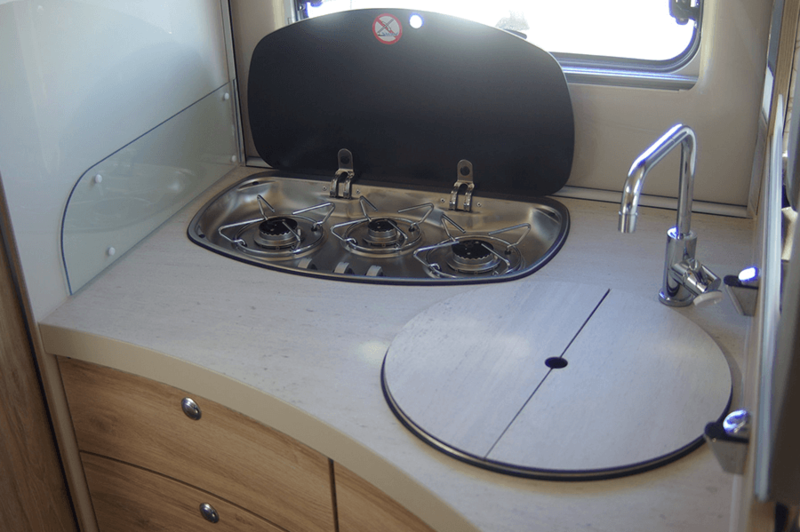 Distinctive good looks and compact dimensions make this a very attractive 4 berth traveller. 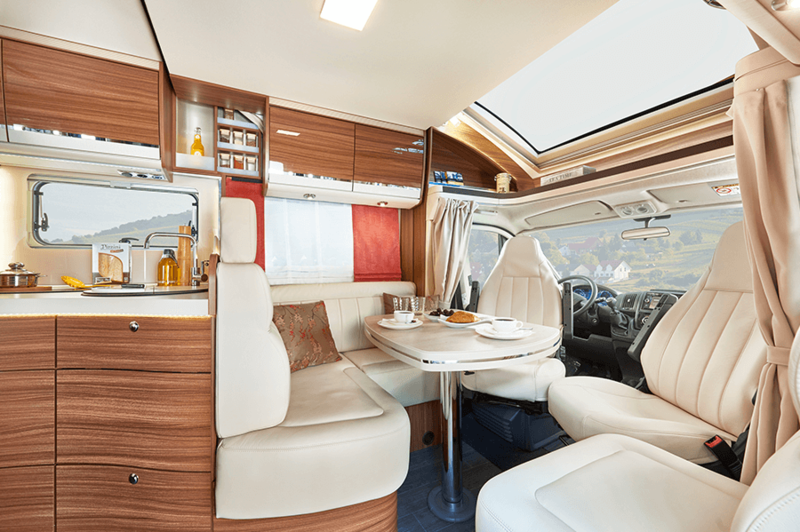 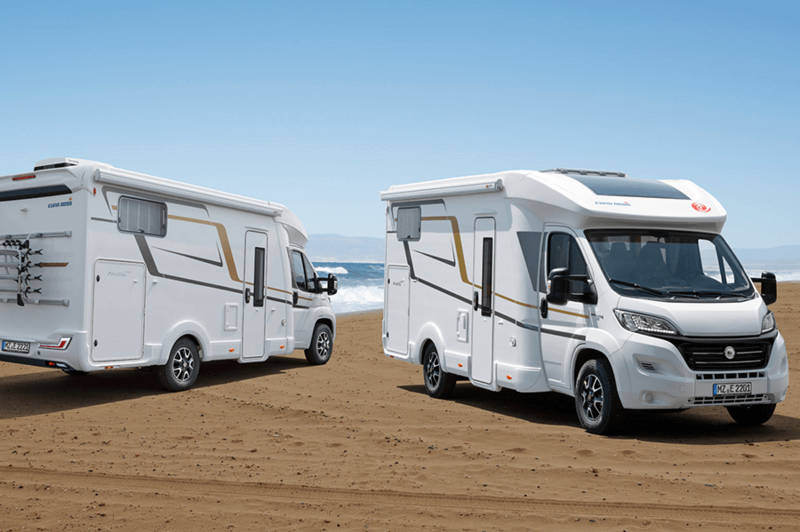 Interiors are designed to give ultimate enjoyment with luxurious upholstery and furniture styling and with panoramic roof, large fridges and optional electric heating and ovens are ideal for extended trips. 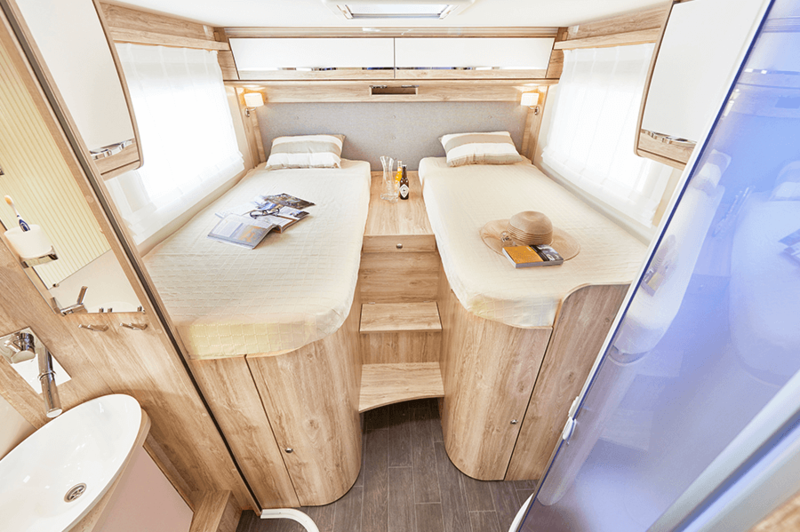 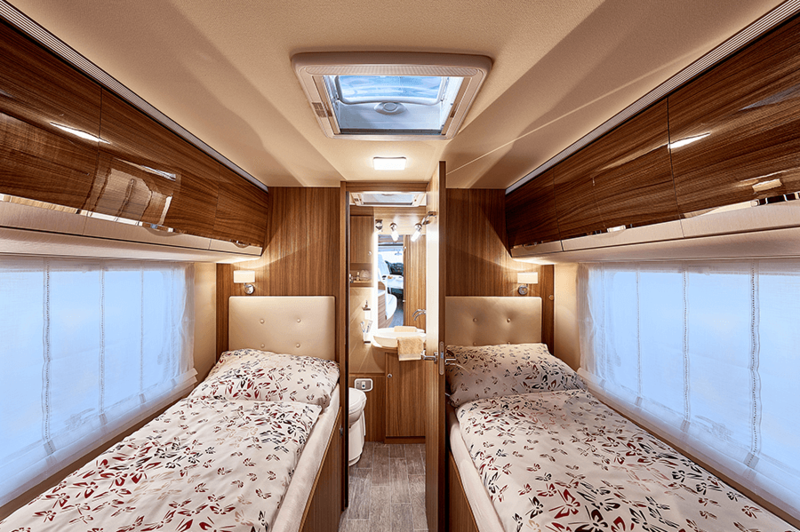 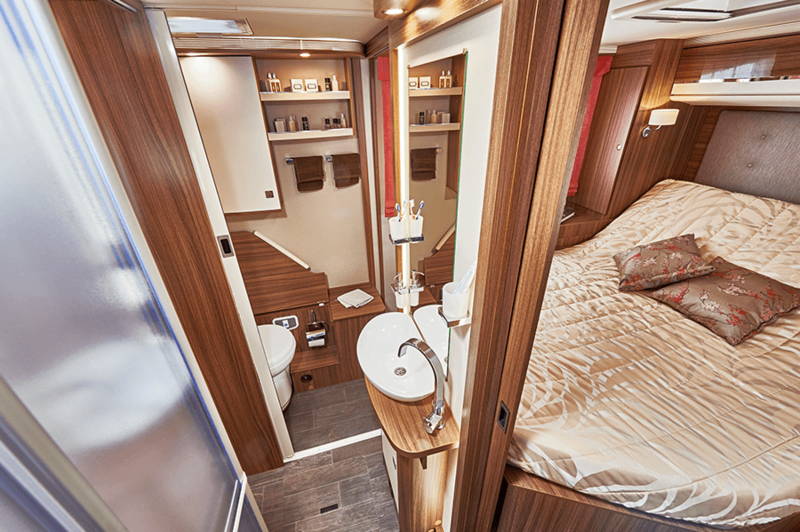 Special Eura Mobil features include a full length heated double floor, recessed lift up bed, lightweight architecture (ensures 4 people can be accommodated in safety and comfort) and FRP body construction with wood free walls. 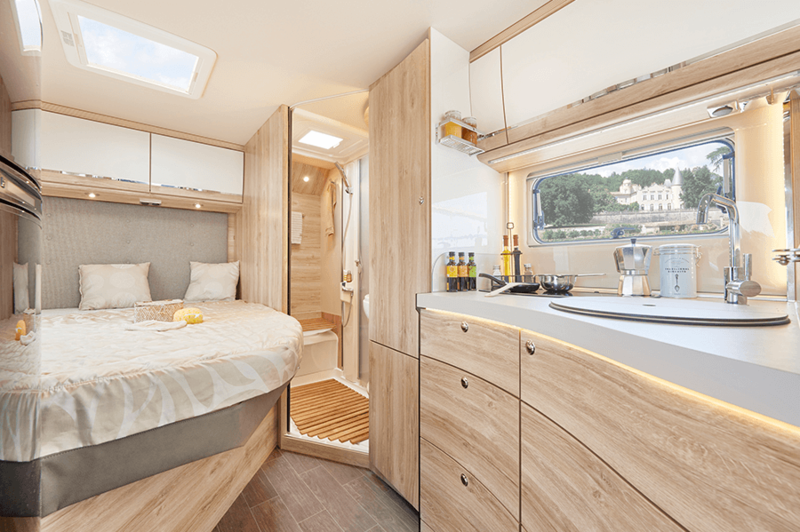 The Profila RS has an open architecture and spacious seating area with a haute cusine kitchen for holiday gourmets that is a true paradise with an ergonomically shaped cabinet front, a three-burner hob and stainless steel sink and with fold-down work surfaces. 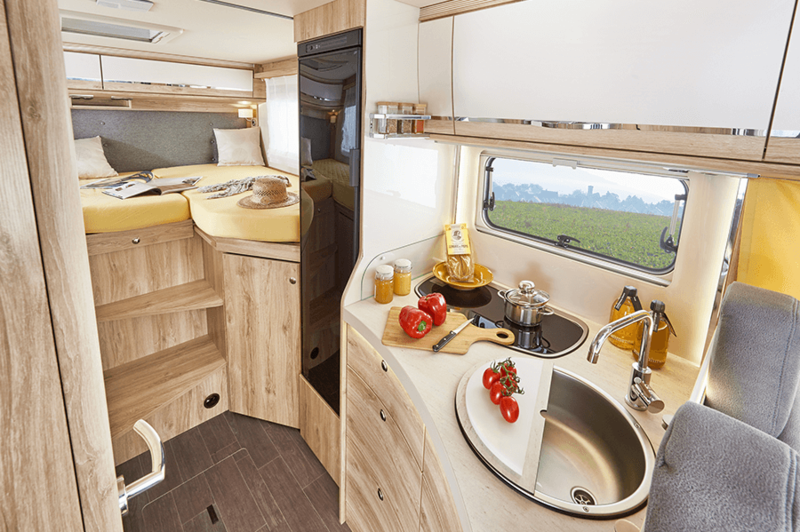 Soft close kitchen drawers, overhead cabinets and floor traps will hold all equipment and provisions, wide superstructure door with window has two point central locking (optional) with waste bin dustpan and mosquito mesh. 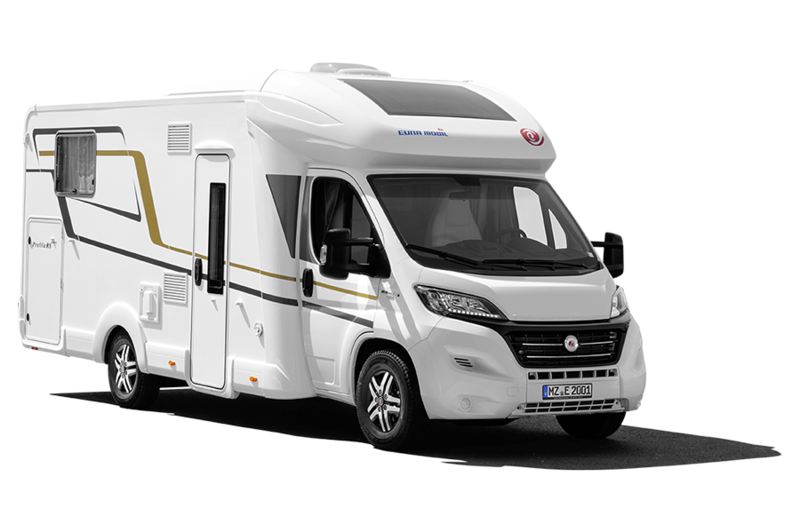 Hail-proof GRP chassis with wood-free walls Eura Mobil "Sealed Structure"
Low profile crossover model total exterior height is less than 2.90 m.